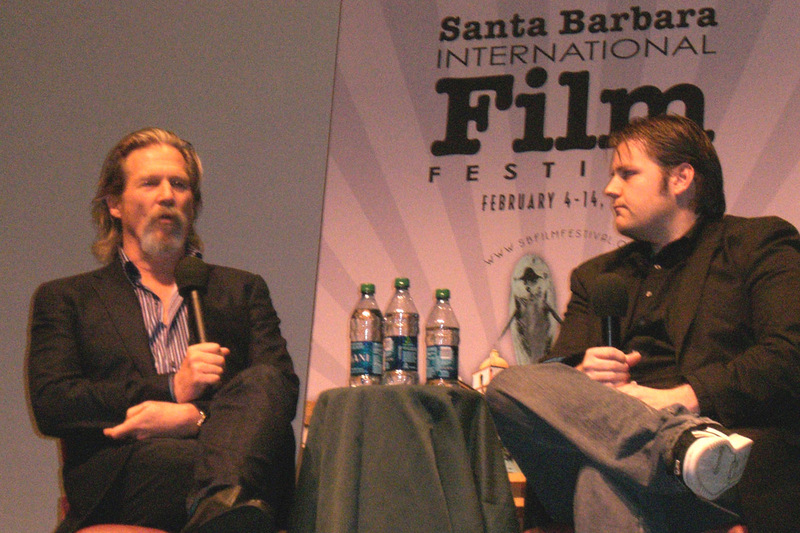 Actor Jeff Bridges was honored by the Santa Barbara International Film Festival, who proclaimed February 14 Jeff Bridges Day. Mayor Helene Schneider presented Bridges with an honorary proclamation at the Lobero Theatre, following the screening of his film �Crazy Heart� for which the career actor was recently nominated for an Oscar for his performance as Bad Blake, a country singing dude. 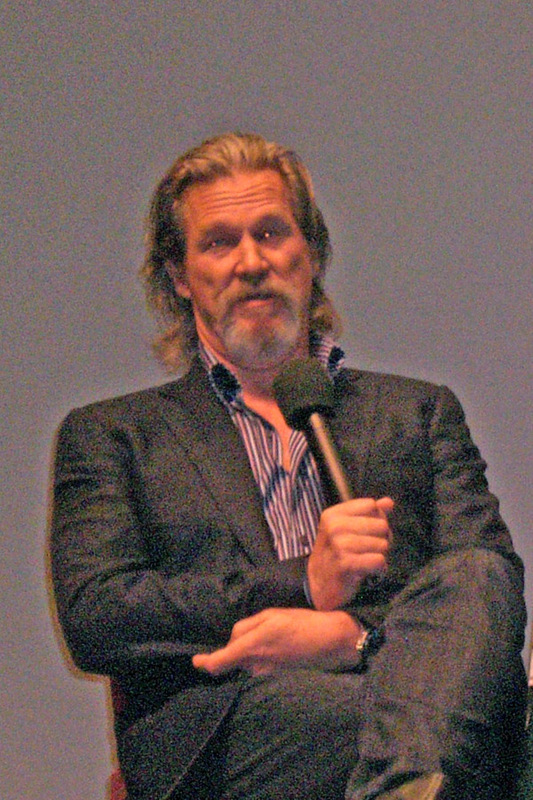 Santa Barbara�s home town dude Jeff Bridges was honored with a Jeff Bridges Day that included a full day tribute of his films at the Lobero Theatre. SBIFF attendees enjoyed a day of viewing some of his best films, as well as a live interview. He said his first role was as an baby in �The Company She Keeps. His dad put him in the movie, but they wanted a crying baby and he was a happy baby, so his mother told the actress Jane Grier �just pinch him and he�ll cry.� During his interview following �Crazy Heart� he talked fondly about his dad Lloyd Bridges and how he wanted him to be in the business and he would tell him to come to the studio and act with him. �He would say come on it will be fun, you can buy some new toys, you�ll get out of school and have more fun.� �I hear people call this nepotism, but it was OK with me,� said Bridges. Bridges said he picks his roles carefully because he does not like being away from his wife of 35 years, and filming can take a long time. �Crazy Heart� took eleven months. He also said that sometimes a role calls to you and you have to do it. I think that everyone in Santa Barbara will be hoping his name will be the one called for best actor on Oscar night. For additional information visit www.crazyheart.com. The Santa Barbara Middle School "Teen Press" were really happy with the interview they got from Oscar Award nominee Sandra Bullock at the 25th Annual Santa Barbara International Film Festival. The actress laughed and joked with them and they gave her Gummy Bears, one of her favorite sweets. Helping your kids get and stay healthy isn�t always easy. By talking about the importance of eating right, staying active and being healthy in an approachable way your kids will start on the road towards a lifetime of healthy habits. Here are some helpful tips and information from the Alliance for a Healthier Generation, a partnership of the American Heart Association and the William J. Clinton Foundation, to help talk to your child about the importance of eating right and staying healthy. More information on creating a healthy environment for kids is available at www.HealthierGeneration.org. It�s Not About Weight: Weight is just one indicator of health and often an extremely sensitive subject for kids. Emphasize how important it is to eat right and be physically active instead of just losing pounds. You don�t want to hurt their confidence or self image. Set food or activity goals: For example, stick to a plan to only have dessert twice a week or to walk 30 minutes after dinner everyday, NOT to lose a certain number of pounds. Make it positive: Getting healthy is something to be excited about�it shouldn�t seem like a punishment. Talk about how fun it will be for everyone in the family to get active and try new, healthy foods. Make it relevant: Explain why being healthy is important in a way that kids will understand. Kids don�t care that being healthy now will prevent their risk of disease in the future--kids care about the here and now. Kids are goal driven: Physical activity will improve their performance in sports, making them run faster or swing a bat harder. Kids want to feel good: Eating healthy will give them more energy and improve their concentration in school and with their friends. Treat �diet� like a four letter word: Adults don�t stick to diets, so why would kids? Teaching your children to eat and drink in moderation (including an occasional treat) will ensure they get the balanced meals they need now and in the future. Food is not a reward: Saying you can have ice cream after you finish your carrots makes eating carrots a chore and ice cream the reward--the exact opposite effect you desire! Just say no to �exercise�! Don�t present being physically active as exercise-- kids may interpret that as a punishment. Encourage everyone in your family to try different activities and find one that suits everyone. Keep it fun! Take Baby Steps: Just like kids learn how to walk slowly, that�s how they should learn new habits. Don�t expect dramatic change instantly. The American Heart Association and the William J. Clinton Foundation joined forces in May of 2005 to create a healthier generation by addressing one of the nation�s leading public health threats � childhood obesity. The goal of the Alliance is to reduce the nationwide prevalence of childhood obesity by 2015, and to empower kids nationwide to make healthy lifestyle choices. The Alliance works to positively affect the places that can make a difference to a child�s health: homes, schools, restaurants, doctor�s offices and communities. For more information please visit: HealthierGeneration.org. In honor of Rx OTC Awareness Week, the City of Santa Clarita is reminding residents about the importance of keeping track of home medicine cabinet contents. The City�s Blue Ribbon Task Force is also promoting the national event, held February 22-28, which is designed to prevent prescription (Rx) and over-the-counter (OTC) drug use among youth. According to the National Institute on Drug Abuse, first-time drug use among 12-17 year-olds is rapidly increasing, largely due to the availability of over-the-counter and prescription drugs in home medicine cabinets. The City of Santa Clarita is urging parents to take an inventory of prescription and over-the-counter medications at home, and educate their children about the dangers of taking medication without a doctor�s orders. Ground Breaking Program Enables Parents to Empower Kids From Home! Today, the Gracie Jiu-Jitsu Academy re�leased the highly anticipated GRACIE BULLYPROOF at-home instructional DVD series aimed at teaching parents how to teach their children the mental, verbal, and physical self-defense strategies that have been used by children in the Gracie Family to combat bullying for three generations. According to the National Education Association, 160,000 kids miss school every day in the U.S. just to avoid bullies. In this ground-breaking instructional series, third genera�tion jiu-jitsu masters, Ryron and Rener Gracie, walk the viewer, step by step, through the EX�ACT child-teaching process that their father used on them, between the ages of 4 and 14, so any parent can prepare their children for life the Gracie way! The program is unique in that it teaches parents and children simultaneously. The techniques taught are totally non-violent and are presented in a fun, easy to follow format so that kids are eager to learn. The objec�tive is to boost the child�s confidence so immensely that they are less likely to be targeted by bullies. For more information on the program, visit www.GracieBullyproof.com. On Saturday, April 24th and Sunday, April 25th the City of Santa Clarita�s 2010 Cowboy Festival will bring to life the sights (men in hats & chaps and ladies in corsets), sounds (Don Edwards, Cow Bop and the Quebe Sisters) and flavors (the best peach cobbler this side of the Mississippi) of the Old West at Melody Ranch Motion Picture Studio. Steeped in Western lore, the working movie Ranch was once owned by Gene Autry and served as the setting for countless western classics including "The Lone Ranger", "Wyatt Earp", "Gunsmoke" and "Hopalong Cassidy". The Cowboy Festival hours are 10:00am - 6:00pm, providing a full day of live entertainment, hearty food, exciting music, history, and children's activities. Ticket prices are $20 for adults and $10 for children, a true value in today's economy. For additional information on the festival you can visit www.cowboyfestival.org.